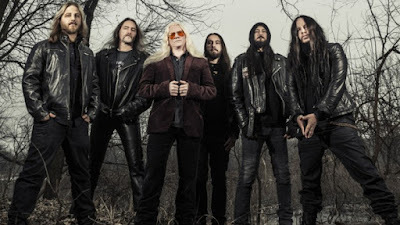 MetalRockNews: Former Slipknot drummer Joey Jordison's band Vimic release official video for "She Sees Everything"
Former Slipknot drummer Joey Jordison's band Vimic release official video for "She Sees Everything"
Vimic, the new band featuring former Slipknot drummer Joey Jordison, have released the official video for "She Sees Everything". The song is taken from band's new album "Open Your Omen", which will be release later this year. You can watch the video below.